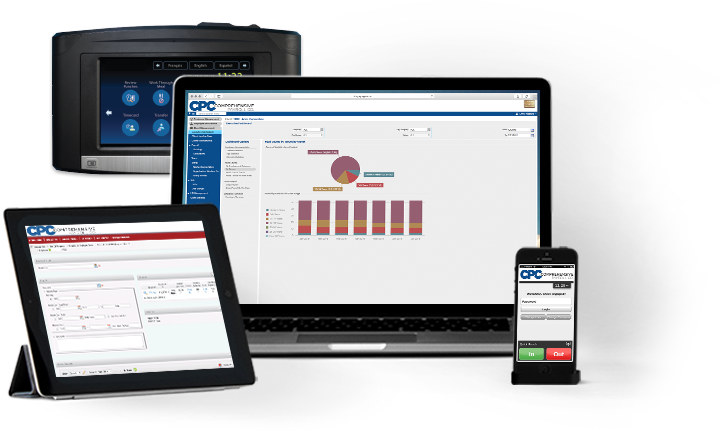 CPC offers a COMPLETE WORKFORCE MANAGEMENT SOLUTION that is customized, automated, easy to use, and cost efficient. We also have the technology to make the process of hiring, employee retention, payroll, and accounting simple for you! Custom solutions. The ability to get what you need and not have to pay for what you don’t. These are the things that put Comprehensive Payroll Co above the rest. CPC pairs years of experience with expertise and the ability to create custom scalable solutions. With the paperless technology leading the forefront and the best security around, our platforms are easy to use, integrated, and built to manage all aspects of employee payroll. Management can create easy knowing everything is organized and easily accessible. On top of that, CPC has workforce solutions that track time, attendance, scheduling, and full analysis of your employees. Payroll services are the hub of what we do. Our custom services give you exactly what you need. No expensive packages with unnecessary options. Keeping track of times can be stressful. Let us make it easier for you. Complete your entire new hiring process online from start to finish. We will help you reduce the risk and lose the paper. CPC has accomplished as much as $60,000 in tax credits for a singe participating client. Software that enables workflow, letting you easily input, store and report all types of employee data. Ease your mind by knowing who you are hiring with premiere background checks. Franchise? Association? Chamber of Commerce? If you are, Comprehensive Payroll Company would like to partner with you! Click on the link below to find out how to partner with us.